In the last few weeks, three major car makers have issued new, alarming recalls on some of their most popular models. Porsche, Fiat Chrysler, and Honda have all alerted the media and the National Highway Traffic Safety Administration to newly discovered defects– all of which could potentially pose a dangerous risk to drivers on the road. As Car and Driver reports, Porsche has recalled 22,000 vehicles due to potential fuel leaks. The only Porsche models named in the recall are the 2015 and 2016 Macan S and Turbo crossover vehicles. The car maker has not yet revealed its plan for repairing the Macan models for consumers. According to Automotive News, Fiat Chrysler has announced a recall of 900,000 SUV’s and crossovers– many of which were sold in the U.S. 2003 Jeep Liberties and 2004 Jeep Grand Cherokees SUVs have been outfitted with airbags that have been linked to at least seven injuries. The report notes that these airbags were not made by Takata Corp., which is currently in the midst of a massive airbag recall. Additionally, Fiat Chrysler is recalling 275,614 2012-15 Dodge Journey crossovers. The car maker revealed that water intrusion may disable the anti-lock brake system and the electronic stability control system on these models. Automotive News also reports that Honda has issued a recall for its 2016 CR-V crossover due to a continued danger of airbag shrapnel. While the company has only reportedly sold 30 of the vehicles, the recall indicates that Takata’s wide-spread airbag issues have not yet been resolved. These 2016 models were outfitted with airbags that were supposed to be free of the danger that sparked the last, record-breaking Takata recall that is still in progress. The new defect, which suggests a manufacturing issue, was discovered at Takata’s Monclova, Mexico factory in mid-October. Like the prior defect, some of the new airbags launch dangerous shrapnel into the cabin of the car on deployment. Takata’s airbags have now been linked to at least eight deaths and numerous injuries. If you believe that you or a loved one has been injured due to the defects in any of these vehicles, then the time to speak with legal counsel is now. 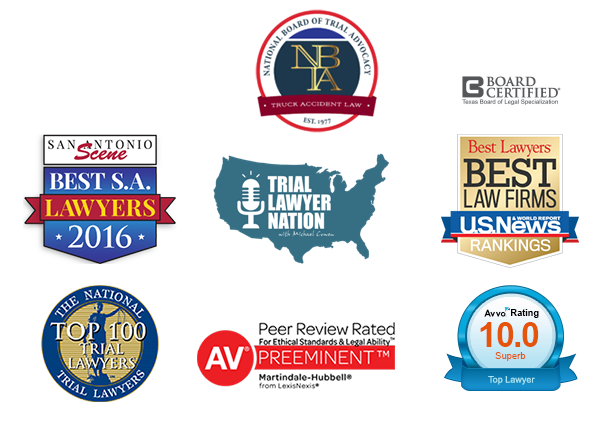 At The Cowen Law Group, our Cameron County auto product liability attorneys have more than two decades of legal experience and have recovered more than $100 million for clients involved in various personal injury matters. We know what it takes to pursue a case against auto manufacturers and give our injured clients the very best chance at receiving maximum compensation for their pain and suffering.